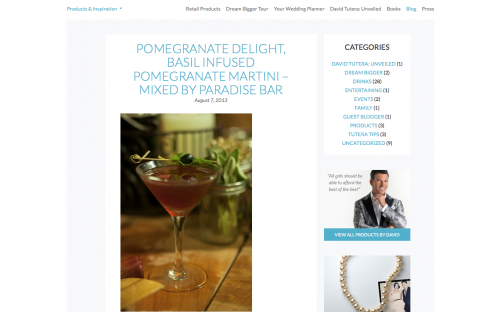 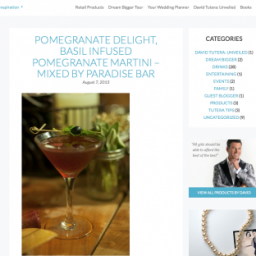 We’re bubbling with excitement now that leading Wedding & Entertainment Expert, David Tutera has endorsed our beloved custom cocktails: Pomegranate Delight, Basil Infused Pomegranate Martini & Elderflower Gin Rickey. 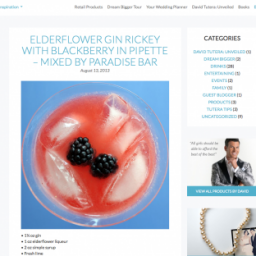 We’re bubbling with excitement now that leading Wedding & Entertainment Expert, David Tutera has endorsed our beloved custom cocktails: Pomegranate Delight, Basil Infused Pomegranate Martini & Elderflower Gin Rickey. 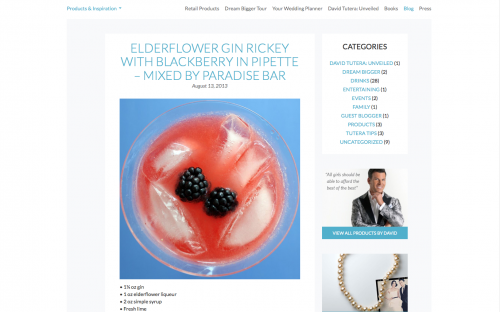 Check out what unique beverages this artistic visionary has featured on his site.